Search engine optimization (SEO) has become one of the most important marketing strategies for modern businesses. This is especially true for B2B businesses that implement a slightly different approach than B2C ones. Being visible and easily findable by your clients is essential for your business success. In most cases, potential clients will research your business over the Internet and even visit your website to familiarize themselves with your services and offers. That being said, your on-site SEO needs to be properly conducted, in order to provide the best experience for your clients. What exactly is on-site SEO? On-site SEO refers to activities of optimizing the elements on your website as opposed to activities elsewhere, which is called off-site SEO. In other words, you're optimizing website elements, such as content, HTML, source code and others, in order to help search engines understand the content on your pages. That way, search engines can match your content with clients search query, in order to deliver the best value to them. Before you delve deeper into optimizing the website elements, you must first ensure that your website is performing well, in order to guarantee that you visitors will actually stay long enough to read your content. The website speed is a crucial factor for both your SEO rankings and for the satisfaction of your clients. 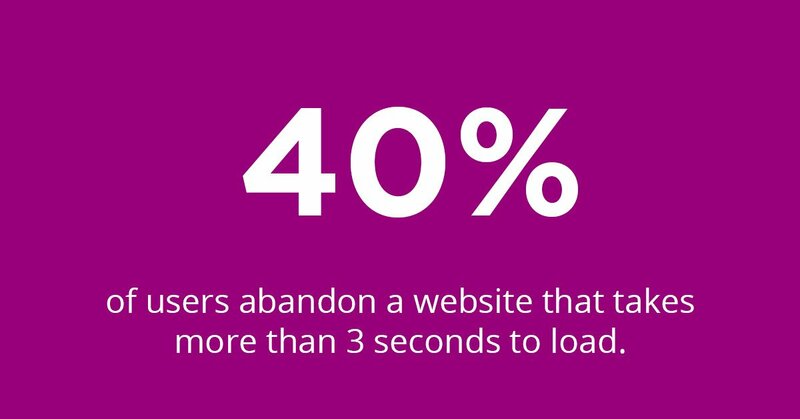 In general, pages that take longer than 3 second to load are more likely to be abandoned. You must determine how fast your website is and improve its speed if it's not fast enough. That way, you'll ensure that the clients who visit your website can enjoy a seamless experience while browsing through your content. 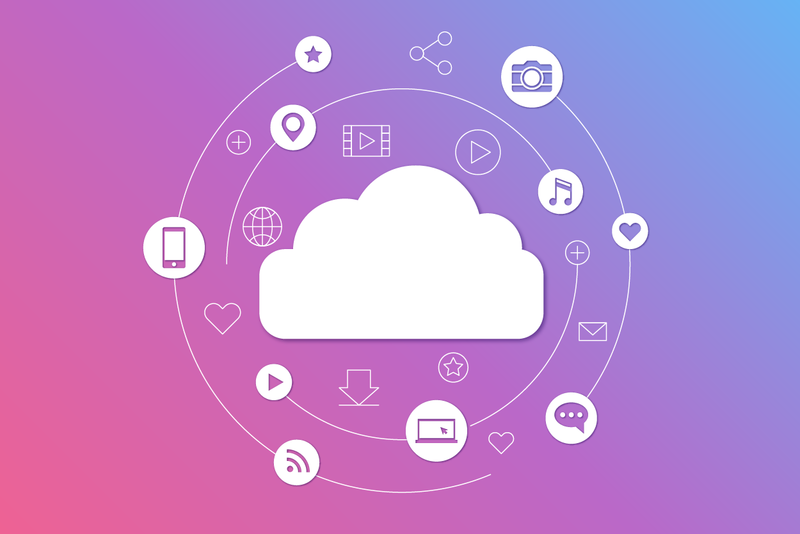 In order to speed up your website, you can optimize and reduce the size of your images, minify the code, switch to a faster hosting provider, use content delivery network (CDN) and more. One of the most crucial elements on your B2B website is the content you create. 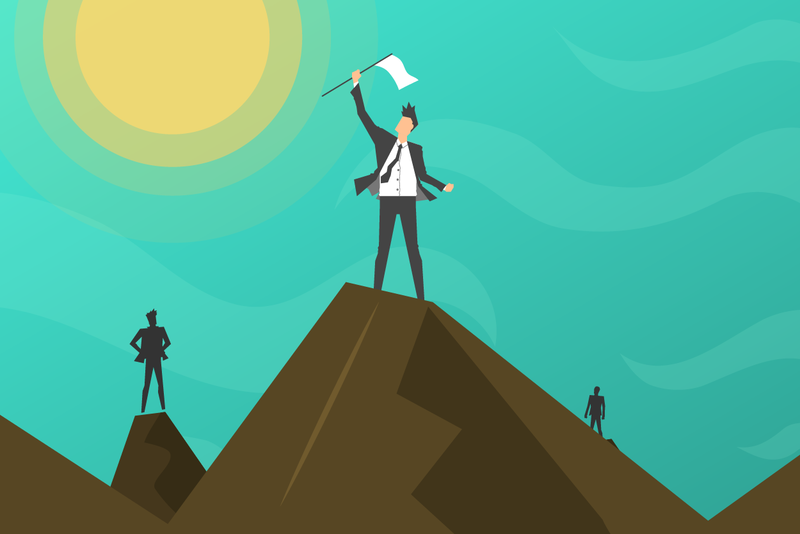 The content will drive interest and engagement in clients, but only if it's top-quality and highly relevant. That's why it's important to develop good content for your website that will be informative, educational and entertaining. From the SEO perspective, website crawlers go through your pages to analyze the content and match it with "user intent". Simply put, it matches the relevance of your content with user search queries. That being said, your content needs to be informative enough to provide value to potential clients who are doing the online search. That includes: well-placed relevant keywords, properly optimized Meta descriptions, tiles and tags, as well as the uniqueness of your content. If you have difficulties optimizing your content properly, you may need an SEO agency that can help you out. 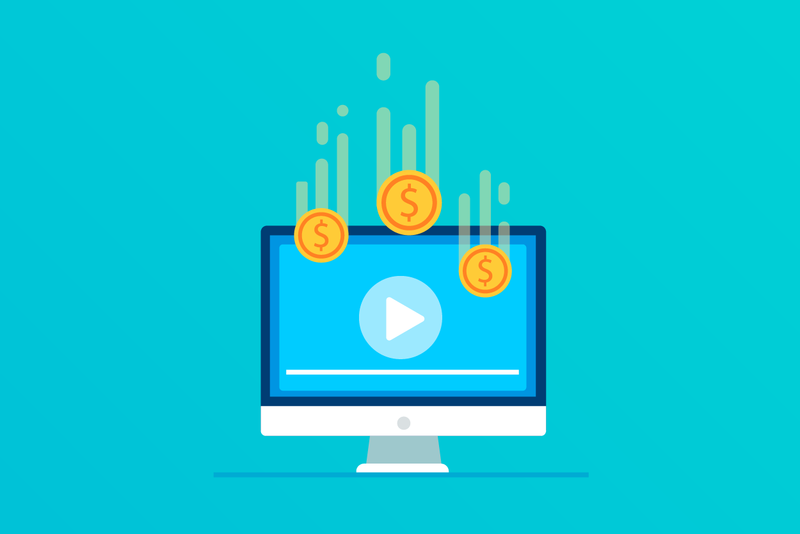 Therefore, make sure your content clearly explains your products or services, as well as anything else that might be of interest to your clients. 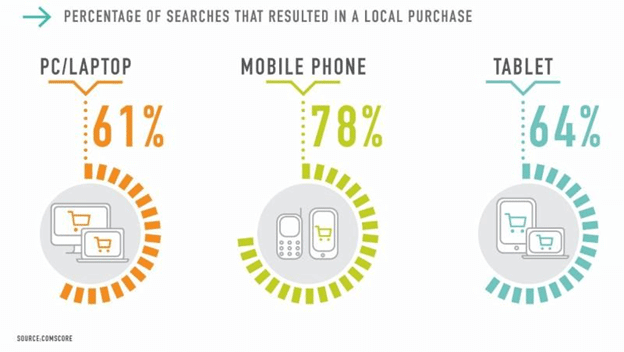 Nowadays, more online searches happen over mobile devices than over desktop. You must keep this in mind when designing your website. It's safe to assume that your clients will also visit your website via their mobile device. If your website isn't' mobile friendly, you can bet that your clients will lose interest and that your rankings will go down. Implementing a responsive design means your website and its content can easily adapt to any device and any screen size. That implies even mobile users can enjoy browsing your website without any interruptions. With that in mind, your website must also perform well on mobile devices, which means it must be fast, user-friendly, easy to navigate, and most importantly, your content must be optimized for the mobile as well. Aside from your content's quality and relevancy, the title tags and URLs are the next most important SEO factors on your website. Title tags are HTML website elements that describe a particular web page. Title tags are also what's displayed on the search result as a description of your page's content. In order to properly optimize title tags, keep the description in between 50 and 60 characters long, otherwise it may not display properly. Also, include the relevant keyword closer to the beginning of the title. Just don't forget to give each page a unique title. As for the URLs (Uniform Resource Locator), they are also called web addresses, which specify the location of the page on your site. URLs are used to show information hierarchy on your website and they are extremely important for on-site SEO. The main reason is that URL helps both humans and search engines understand the context of your page. https://www.yourwebsite.com/title/0thai89sg. That URL is difficult to understand or determine what it points toward. On the other hand, a good URL would be: https://www.yourwebsite.com/services/servicessummary. That URL clearly portrays the context of your page. On-site SEO is important for properly optimizing your website and the content you have on your pages. For B2B business, having a properly optimized website is essential for not just ranking well on search engines, but for ensuring that your clients can easily find what they need on your website. As mentioned before, clients will want to explore your website before they decide to do business with you, which means you need to provide them with a seamless experience in order to help them make that decision. 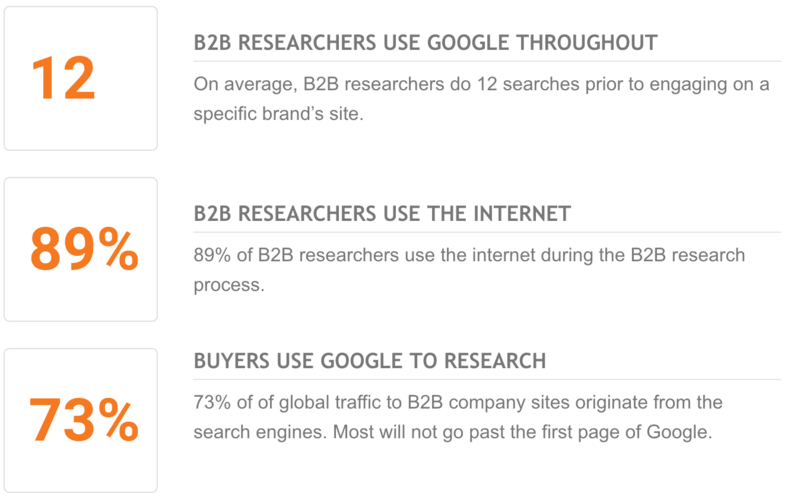 What are the top B2B SEO tactics? 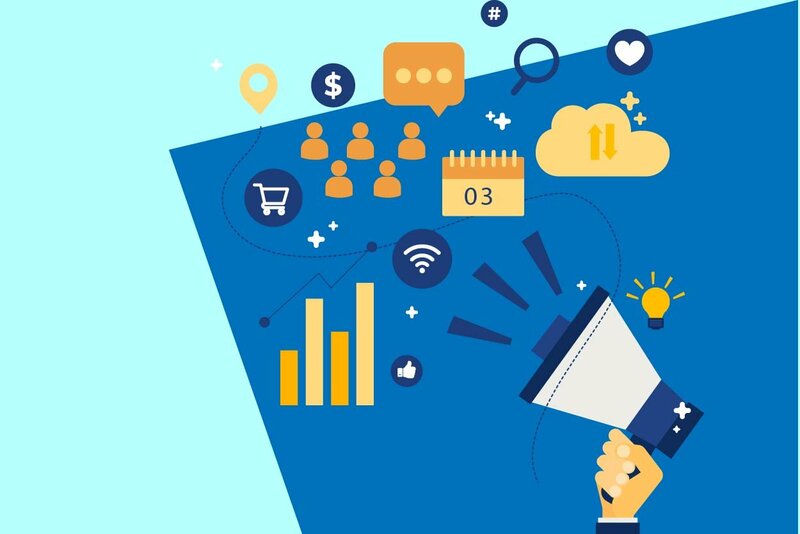 Looking for other Digital Marketing strategies? Here is an ebook that outline the top digital strategies and technologies.